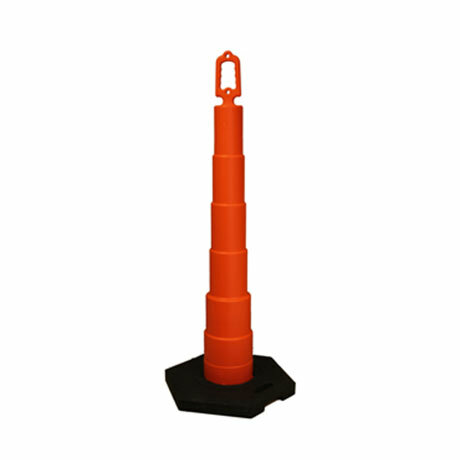 The Divertor™ is a highly visible 42" trimline channelizer designed for service in a wide variety of applications. 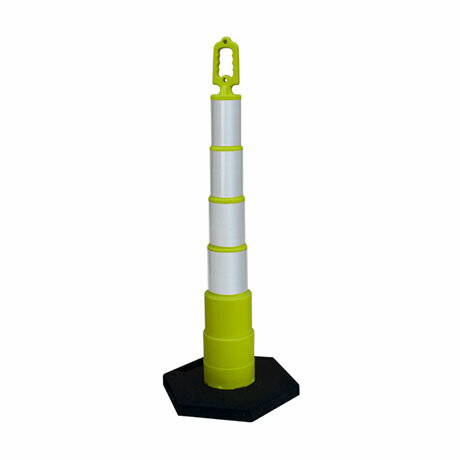 The Divertor™ is ideal for controlling traffic in areas of limited space and can be fitted with a barricade light for maximum visibility. Available in multiple 3M™ reflective sheeting configurations. OTHER FEATURES Two mounting holes for warning lights and signs. Extra tabs around base of Divertor for “Positive Lockup” with bases. 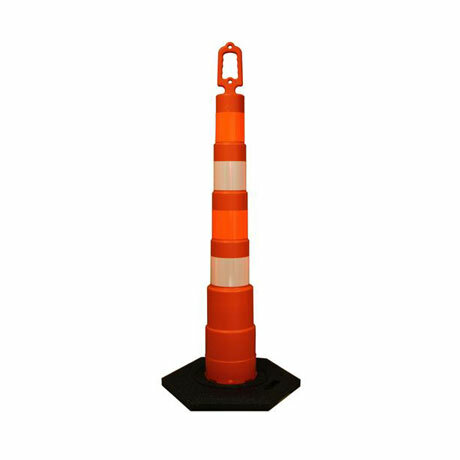 Available with a variety of reflective tape configurations Meets federal M.U.T.C.D. standards . Choice of 100% recycled rubber base 10# hexagon shape 16# hexagon shape 30# rectangle shape. The quality you have come to expect from Lakeside Plastics.